BT is to unveil the latest Ultra High Definition (UHD) outside broadcasting links truck at this year’s IBC conference in Amsterdam. The vehicle will be used by BT’s Media and Broadcast (BT M&B) division to broadcast BT Sport’s live coverage of the Round 2 AVIVA Premiership Rugby Matches in 4K. The TES52 truck, which was designed and built by systems integrator, Megahertz, is the first vehicle in the UK capable of transmitting multiple HD and UHD/4K visions via fibre and satellite simultaneously. The truck uses the latest encoding equipment, which has been specifically designed for premium live sports broadcasting. 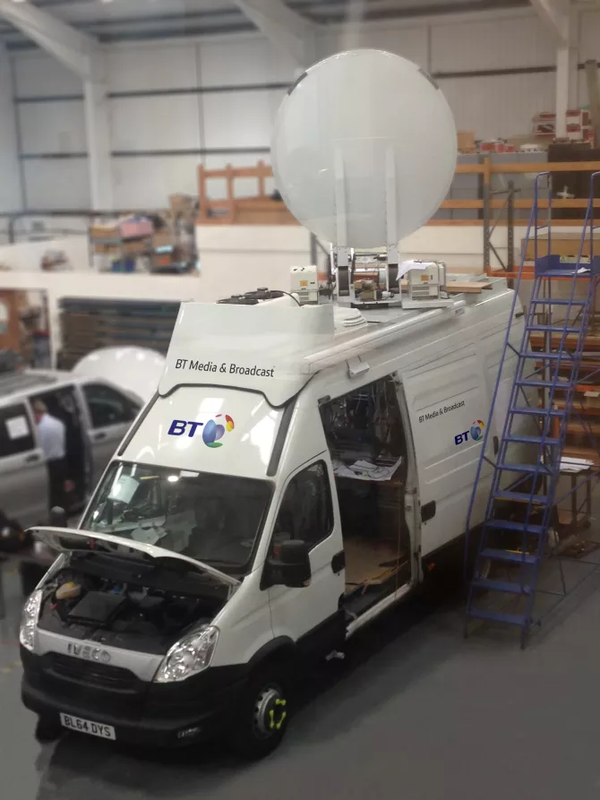 At the IBC, BT’s digital and media broadcast services arm will display the TES52 truck on their stand [O.C01 in the Outside Exhibition area] from 9 - 13 September.